MTN chairman Cyril Ramaphosa will not make himself available for re-election. JSE-listed MTN, one of Africa's largest networks, says its chairman Cyril Ramaphosa will retire at the annual general meeting to be held on 28 May. Ramaphosa, who was last year elected as the deputy president of the ruling African National Congress (ANC), was appointed to MTN's board on 1 October 2001 and has been chairman since 2002. He is also chairman of the nominations committee, as well as a member of the remuneration and human resources committee. Ramaphosa is also founder and chairman of the Shanduka Group, headed by Phuti Mahanyele, which last year bought a $335 million (about R3 billion) minority stake in MTN Nigeria, the cellular company's biggest unit. After his election as deputy president of the ANC, Ramaphosa said he would review his business interests. "This is necessary to address any potential conflicts of interest, and to ensure that I can adequately perform the responsibilities of this position. In consultation with the ANC national officials, I am undertaking a process of engagement with several stakeholders on the implications of my election to this post," he said. MTN said, in its annual results published today, that - following the review of his business interests - Ramaphosa has informed it that he wished to relinquish his position as non-executive director and chairman. Alan van Biljon, lead independent director, in consultation with the nominations committee, will undertake the process of identifying a "suitable" successor to Ramaphosa, says MTN. 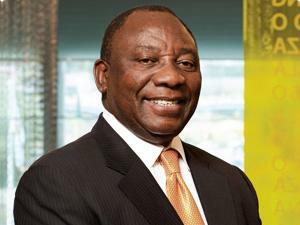 The group thanked Ramaphosa for his "selfless and visionary leadership, as well as his immeasurable contribution that has made MTN one of Africa's biggest success stories". Ramaphosa's net worth was estimated at $275 million by Forbes magazine in 2011, making him the 36th richest person in Africa.